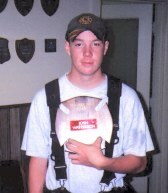 Click Here for more info on this award. 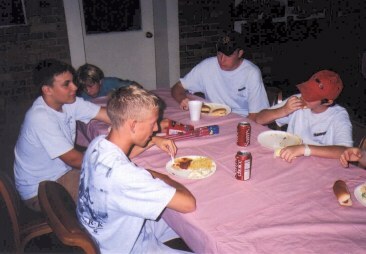 August 18th 2002 was the date of the much awaited and postponed Explorer Cookout. 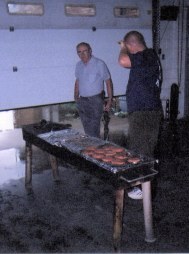 Naturally it rained, but the grill was relocated to the bay and tables were set up in the meeting room of Station Six. 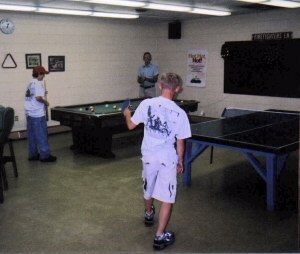 Explorers played pool and ping pong with family and friends until it was "Chow Time"! Explorers Macon and Knox dig into some of the many side dishes that Josh's mom prepared! 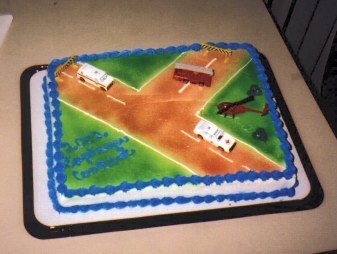 Can't forget the cake, but not nearly as cool as last year's fire truck cake! 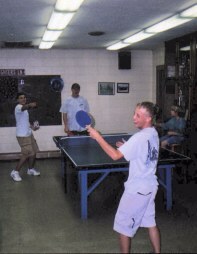 After eating, the Explorers demonstrated to their families the fire and rescue knowledge they had gained as members of the Post. Above: Explorer Frisque talks about the Hurst cutters and Hurst Maverick. 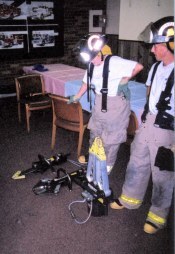 Explorer Macon talks about the Hurst "Jaws of Life". Explorer Chief Watterson and Asst. 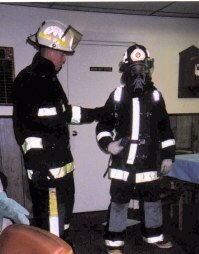 Chief Knox demonstrate turnout gear and an SCBA unit.